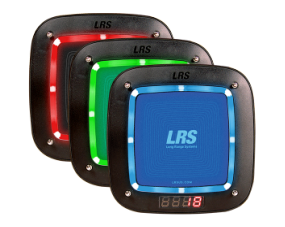 Customer or staff paging systems specifically tailored to pharmacy and chemist needs - check them out below. 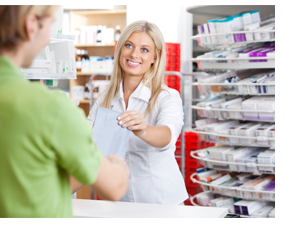 With the pharmacy industry getting more competitive, and government regulations regarding patient privacy getting stricter, it is more challenging than ever to serve customers and increase sales. We have a number of solutions which you might well find useful in your pharmacy or chemists dispensary, please check the options below. Hand customers one of our on-site pagers so they can shop while they wait for the prescription. When the prescription is ready, silently page them to let them know they can collect the prescription. This action also alleviates staff interruptions before the prescriptions are ready. Customer paging is also great if you have a drive through window - customers can park while they wait and be notified easily and quickly with our system. 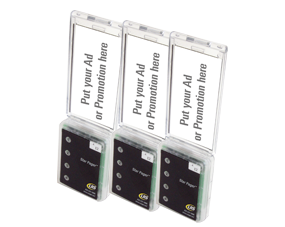 Advertising or message on the pager body great for instructions to the customer or patient. Used for customer, guest or patient recall. High in features, the CS6 is our newest customer or patient pager and is a massive seller for price conscious customers without quality degradation. 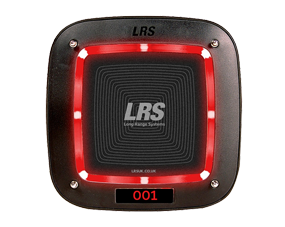 Powerful customer or patient pager the CS7 includes 'acknowledge' mode to ensure that the system knows that the customer or patient received the message and will return.